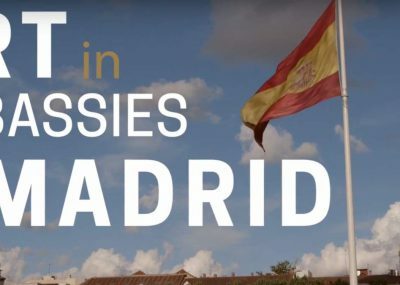 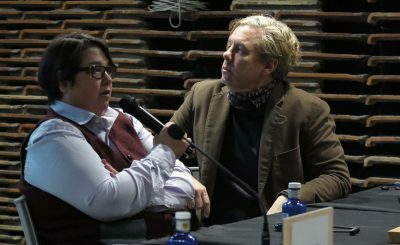 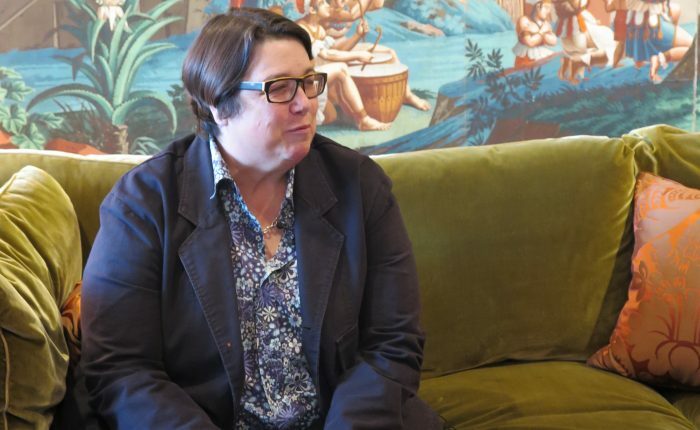 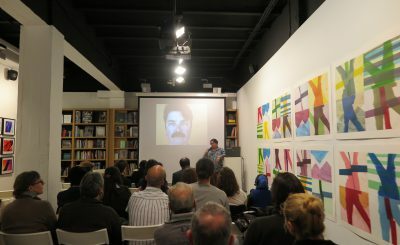 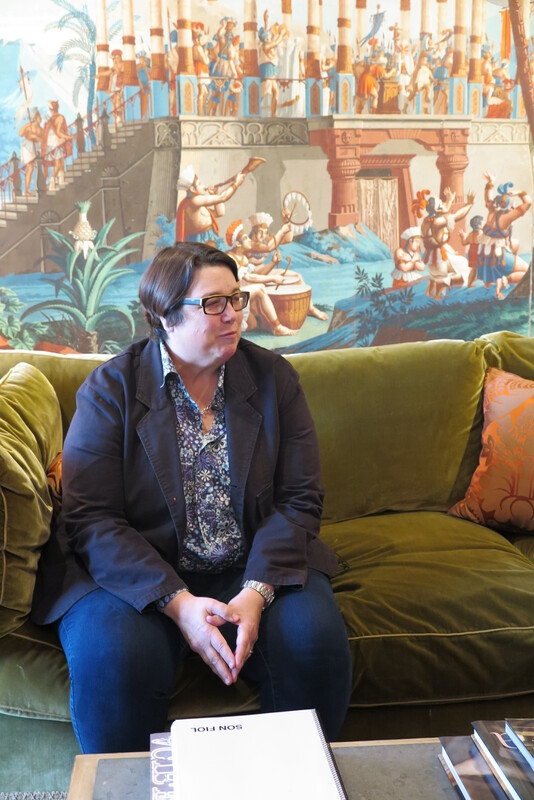 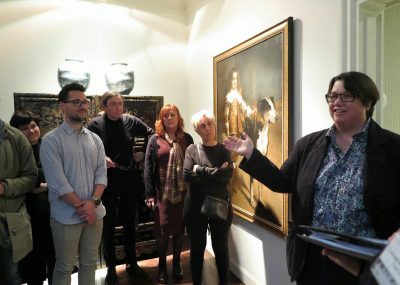 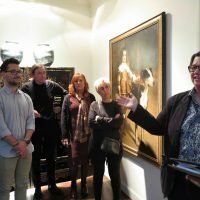 In March of 2016, artist Catherine Opie and Philip Taaffe traveled to Madrid to speak to and engage with Spanish art students and art professionals about their work, and their artistic connection to Spain. 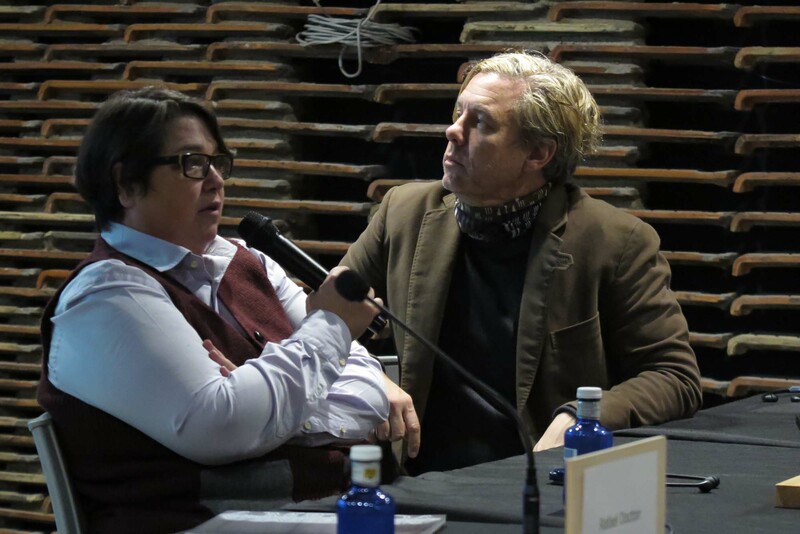 Image 1212_opiePhilip Taaffe, Spanish art historian and curator Rafael Doctor, Catherine Opie, and U.S. interior designer Michael Smith engage in a dialogue about art and design at Matadero Madrid on March 21, 2016. 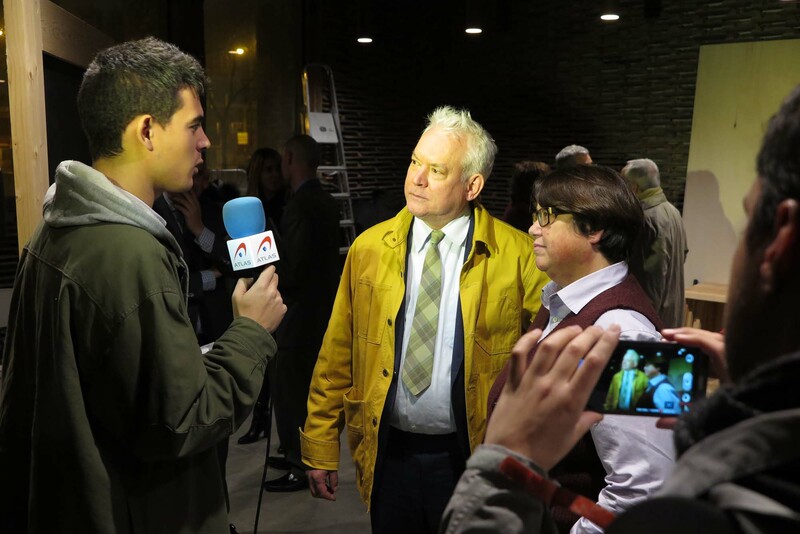 Image 1111_opiePhilip Taaffe, Spanish art historian and curator Rafael Doctor, Catherine Opie, and U.S. interior designer Michael Smith engage in a dialogue about art and design at Matadero Madrid on March 21, 2016. 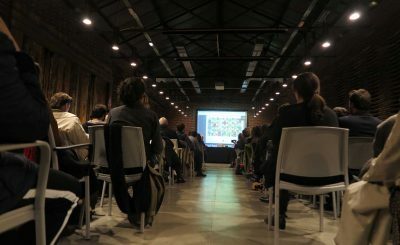 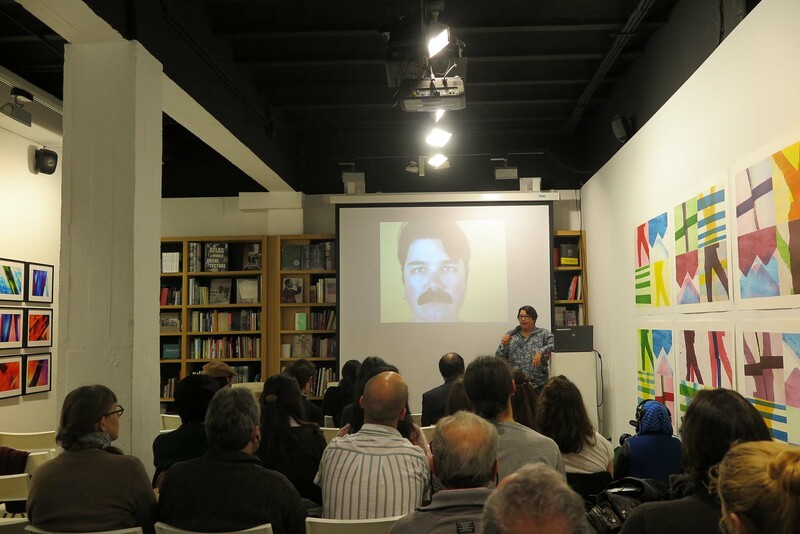 Image 077_opieCatherine Opie presents examples of her work at the headquarters of PhotoEspaña (the International Festival of Photography and Visual Arts of Madrid) on March 18, 2016. 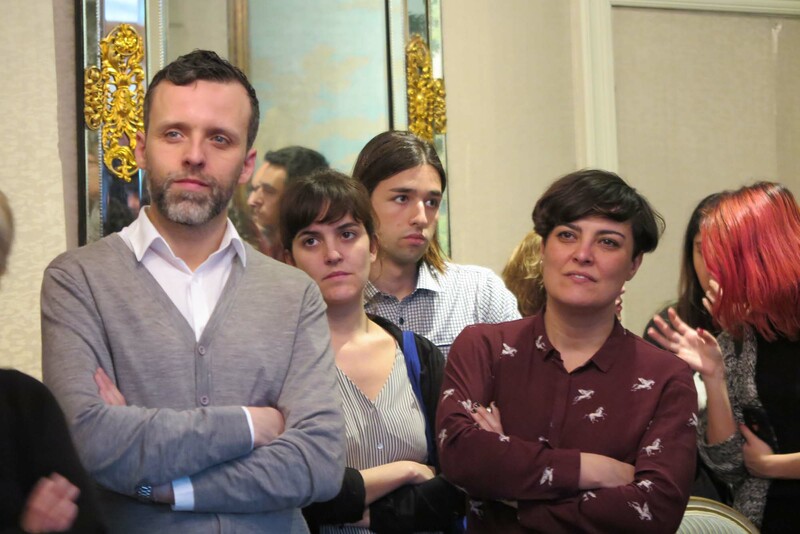 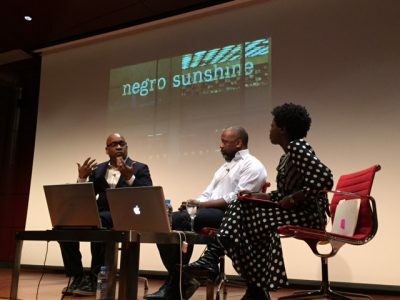 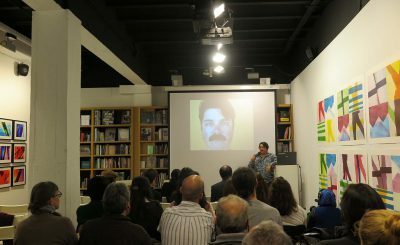 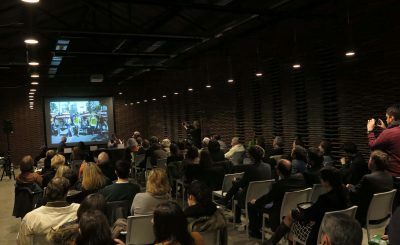 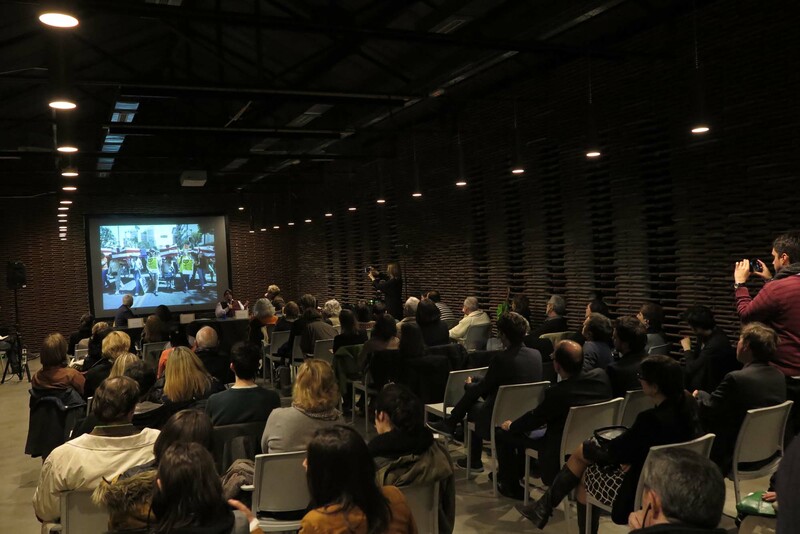 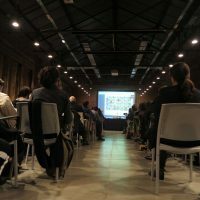 The audience included PhotoEspaña festival organizers, students of the Master’s Degree Program on Photography, and members of La Fábrica, a private organization specializing in cultural activities. 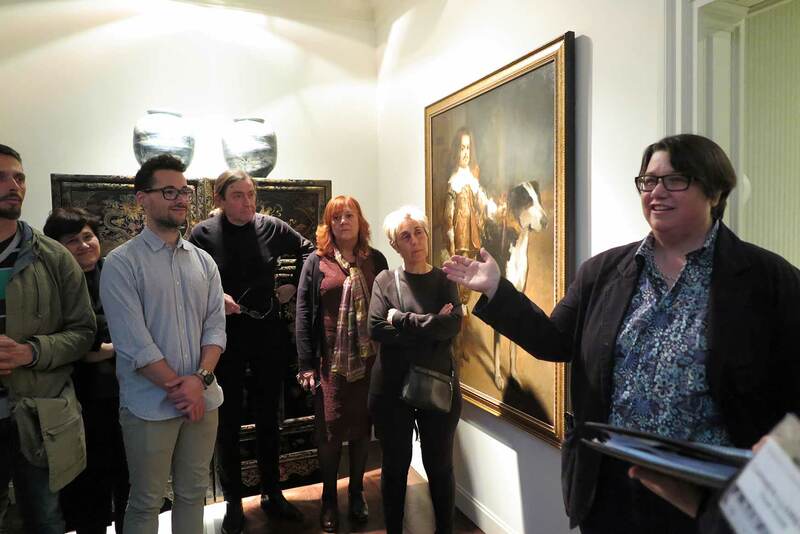 Image 033_opieCatherine Opie prepares to describe her photographs of Elizabeth Taylor’s closet during the AiE tour, March 18, 2016 (art in the background: John Singer Sargent’s Dwarf with a Mastiff). 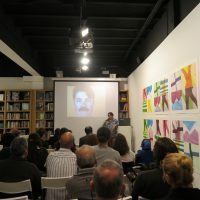 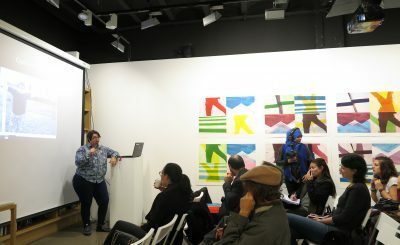 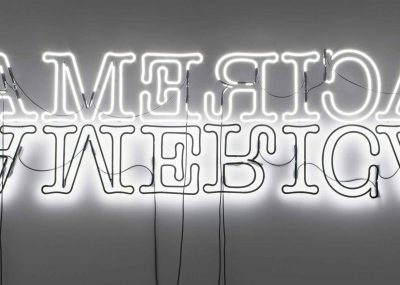 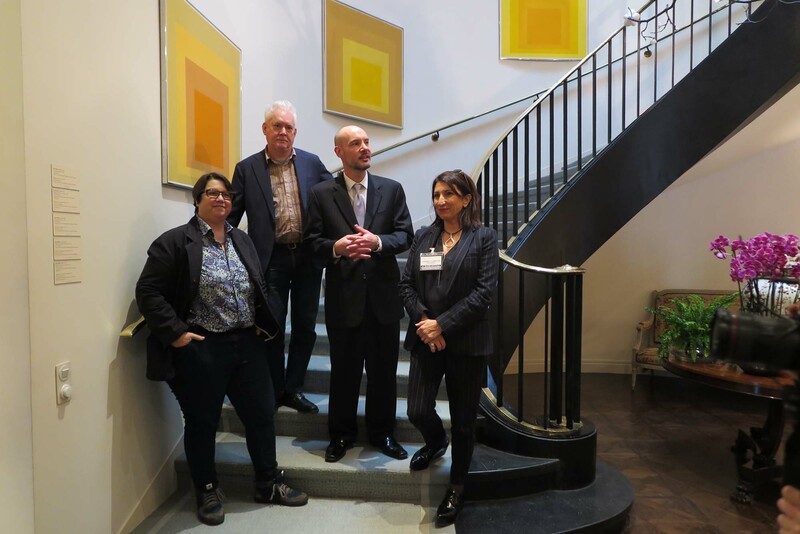 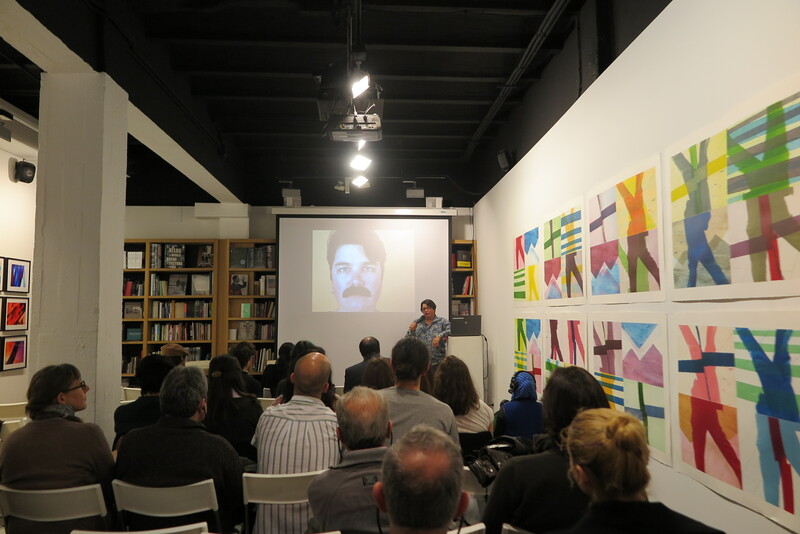 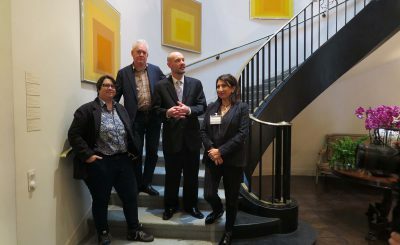 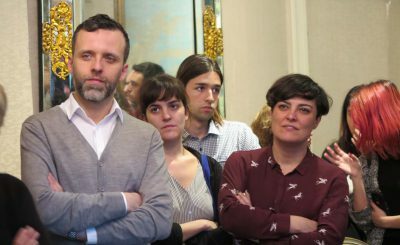 Catherine Opie and Philip Taaffe lectures in MadridCatherine Opie presents examples of her work at the headquarters of PhotoEspaña (the International Festival of Photography and Visual Arts of Madrid) on March 18, 2016. 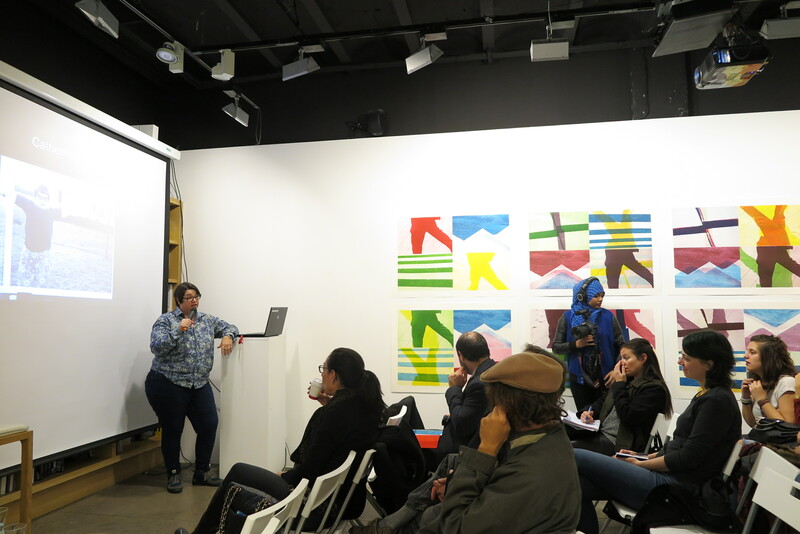 The audience included PhotoEspaña festival organizers, students of the Master’s Degree Program on Photography, and members of La Fábrica, a private organization specializing in cultural activities. 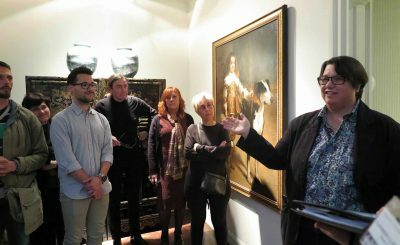 Catherine OpieThe guests at the March 18 AiE tour included students and faculty from the Escuela de Arte 10; students from the Escuela Universitaria TAI (Transforming Arts Institute); and representatives from PhotoEspaña. 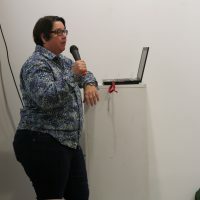 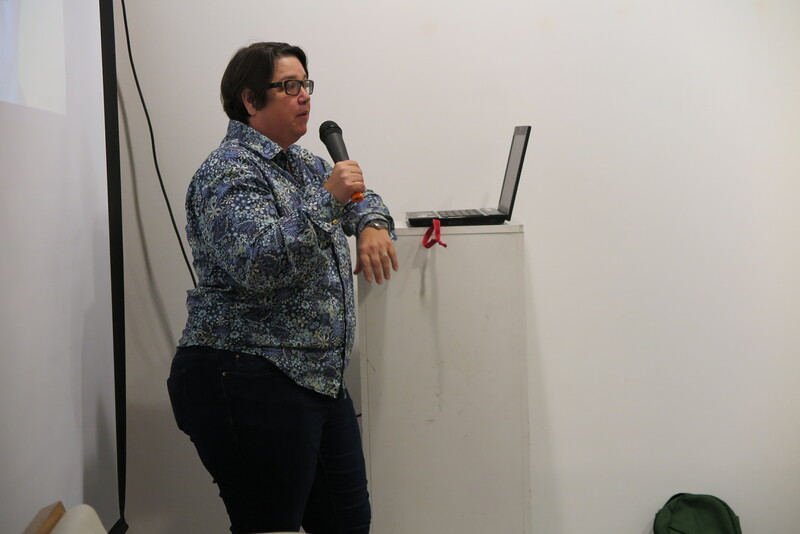 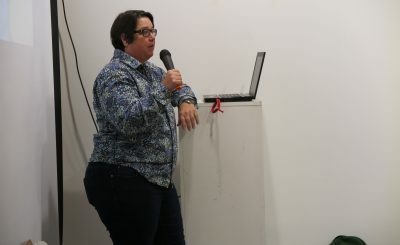 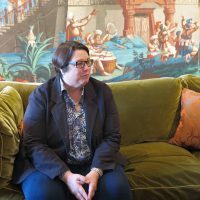 Catherine Opie lectures in MadridCatherine Opie presents examples of her work at the headquarters of PhotoEspaña (the International Festival of Photography and Visual Arts of Madrid) on March 18, 2016. 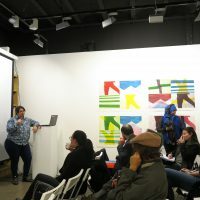 The audience included PhotoEspaña festival organizers, students of the Master’s Degree Program on Photography, and members of La Fábrica, a private organization specializing in cultural activities. 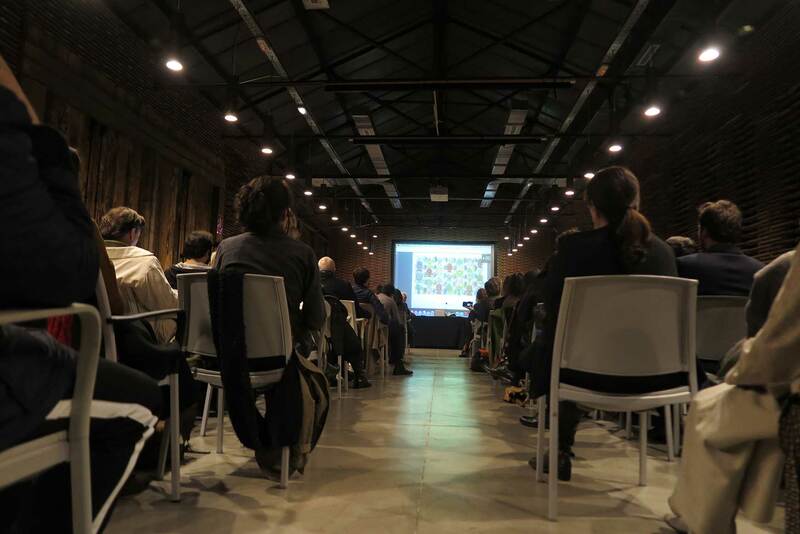 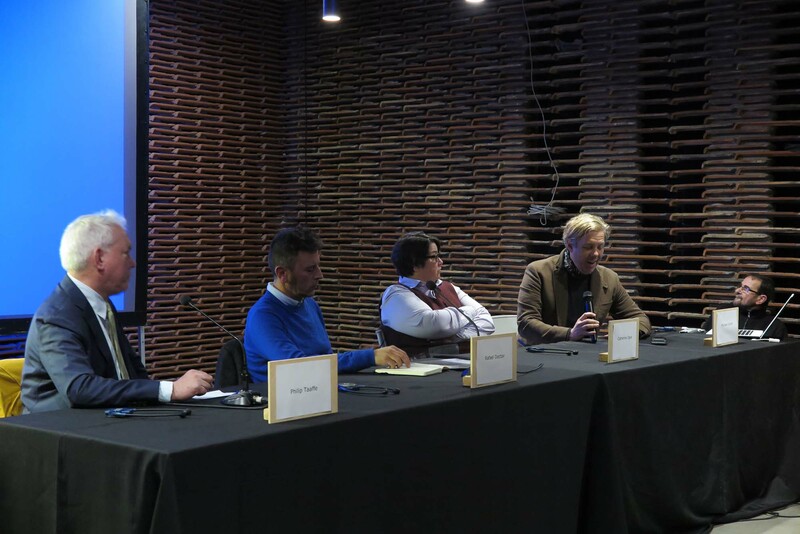 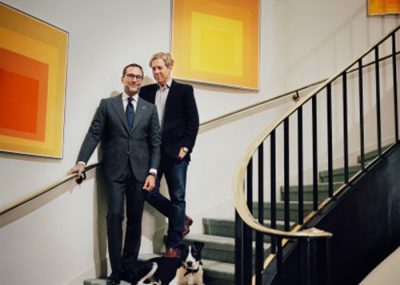 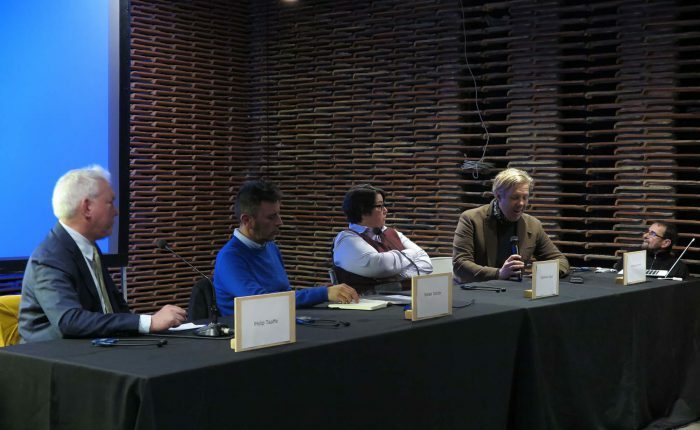 madrid-matadero-opie-taafePhilip Taaffe, Spanish art historian and curator Rafael Doctor, Catherine Opie, and U.S. interior designer Michael Smith engage in a dialogue about art and design at Matadero Madrid on March 21, 2016.